Fort Kochi beach is located in Ernakulam district, which is about few kilometers away from city of Cochin. The main attraction of the beach is the presence of Chinese fishing nets, historic fort ( Indo-European architecture ),Vasco da Gama Square, a light house and a granite walkway to the beach. Fort Kochi Beach means an ideal mix of the cultural and historical moments. 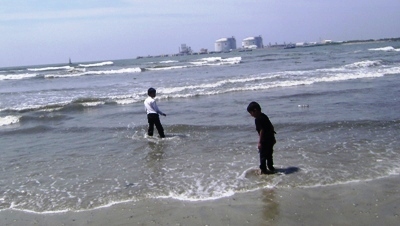 The famous Cochin Carnival on the New Years Eve held at the beach is a main tourist’s attracted festival in Fort Kochi. Nearest Railway Station: Ernakulam Junction ( 15 km ). Nearest Airport: Cochin International Airport ( 45 km ).